So say some un-named "component players"
UPDATE: Google just sent us this response to the below story: "Unfortunately we don't have any additional information on launch dates at this stage." Google's Chrome Operating system is rumoured to be launching later this month, according to anonymous "component players" in Asia. We first reported on Google Chrome OS back in November 2009, though Google has remained schtum since that time about its plans to release the new operating system in new consumer devices. 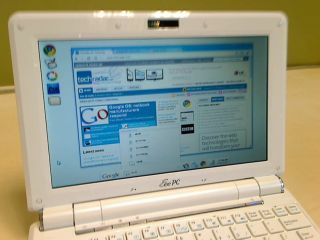 Acer made noises earlier this summer that it was planning on releasing Chrome OS devices in 2010, although the company quickly backtracked on its original statements. As we rapidly approach the end of 2010, the latest news on Chrome OS comes from Digitimes which claims – citing un-named sources in the component industry – that Google will be launching the new operating system later this very month. The information comes from unnamed "component players," with no official word from Google or any of its planned manufacturing partners as yet. Google is also rumoured to be releasing a self-branded Chrome OS device. TechRadar has contacted Google, Acer and other laptop manufacturers for updates on this story, stay tuned.